variety of different owners, eventually became Skidmore College’s North Woods. It currently spans around 160 acres, and is maintained as a natural space for the Skidmore and surrounding community alike. It is an area where people can connect with nature through meditation, walking, hiking, and running. It also serves as Skidmore’s outdoor laboratory, with over 30 courses utilizing the woods for classwork and student-faculty research. This research ranges from studies on the causes and consequences of earthworm invasions, to tracking the resilience of certain invasive species, to archeological excavations! – The hill that the water tower sits upon (on the Red Trail) is the highest point in Saratoga Springs! 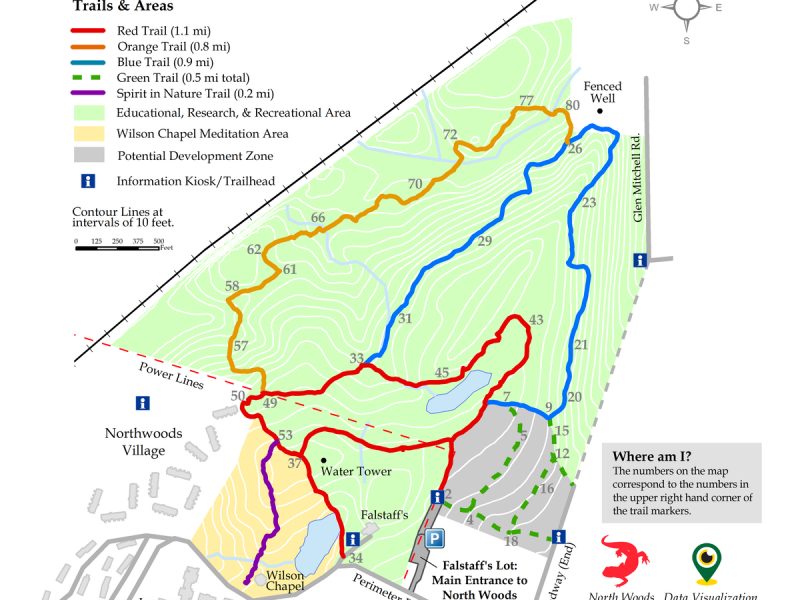 The Red Trail crosses over a creek, by two ponds/lakes, and through a meditation area. 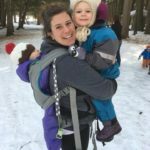 This trail is easy and fun for all ages.